Anniversary Flowers Order Anniversary Flowers – Anniversary is that time of the year for appreciation of loved ones, a time of reflecting with fondness of beautiful memories on a day that has passed, but truly treasured forever. Make someone feel special with beautiful Anniversary Flowers that shows sensitivity, care and tender loving. Creating Anniversary Flowers is always a pleasure -Romantic and adorable floral creations in each order, we are a partner in Love! 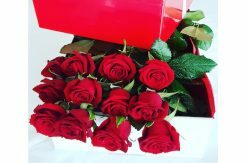 Dozen Roses in Long Box, Red Roses with Oriental Lilies, White Roses, Bright Flower Arrangements, with added Chocolates, Helium Balloons, Wine or take it up one level, French Champagne, Rainbow Roses or 100 Roses. Say Happy Anniversary and I Love You with Flowers Now! Say Happy Mothers Day to Mum on Mothers Day. Spoil Mum on Mothers Day with flowers, gifts and treats in Mothers Day Gift Baskets. Whether you like to say it with flowers only, or with a bottle of wine or Champagne or with Rainbow Roses, Red Roses, Peony Roses, Gerberas or Rose Lilies. Appreciate Mum on Mothers Day. 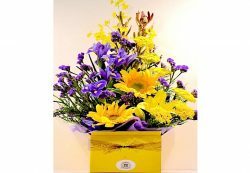 Make mum smile with Bright and Cheerful Flowers. Say I Love you Mum with Flowers and Chocolates Send Mothers Day Flowers Online. 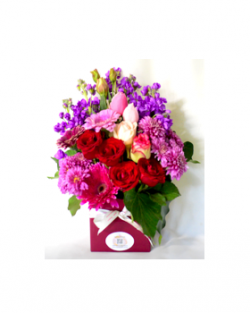 Mothers Day Flowers Delivery to all suburbs in Melbourne, Victoria, Australia. Our delivery service for Mothers Day includes Sunday flower deliveries.